RQ Hotel Dacarlo는 산티아고의 센트럴 버스 터미널에서 단 몇 분 거리에 있으며, 산티아고 대학교 지하철역(Universidad de Santiago Metro Station) 바로 옆에 있습니다. 객실에서 무료 인터넷을 이용할 수 있어 편리합니다. 호텔의 객실은 전용 욕실을 갖추고 있습니다. 일일 객실 청소 서비스도 제공됩니다. 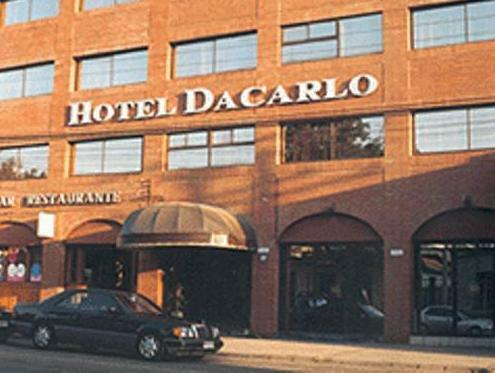 Hotel RQ Dacarlo의 조식당에서 일일 무료 조식 뷔페를 즐겨보시기 바랍니다. 이 호텔은 시내 중심가에 바로 자리하고 있어 주변에 여러 상가가 즐비합니다. 코모도로아르투로메리노베니테스국제공항까지는 차로 약 20분이 소요됩니다. Please note the property does not accept cash payments. This property does not have an elevator. LOCAL TAX LAW Based on local tax laws, all Chilean citizens and resident foreigners must pay an additional fee (IVA) of 19%. To be exempt from this 19% additional fee (IVA) the payment must be made in US dollars and a copy of the immigration card and passport must be presented. The passenger won’t be exempt from this fee when paying in local currency. In case of no show the invoice will be billed in local currency, including this additional fee (IVA). This additional fee (IVA) is not included in the hotel rates and must be paid separately. 너무 친절하고 방도 넓고 깨끗합니다! Fairly pricey place. Stayed for a single night before flying out. Old decor and bedding. Staff were really helpful in organizing a taxi (although I feel I got ripped off by the driver himself), wake up call, check in etc. Location was very seedy and difficult to find after dark. Located behind the bus station, I took a taxi, who failed to find the place, but I managed on my own. Make sure to get a good map of the location as street names are vague/non existent. L’avantage le plus important : la gare routière à 100 m à pieds. Chambre spacieuse mais pas d’ascenseur et qu’une seule prise électrique (dans la salle de bains) !